So yesterday I went over my calorie limit for the day. It wasn’t much, and I’m not too upset by it, but it’s still an icky feeling. Another downside is that today I didn’t get to do the 1 hour of elliptical I normally do, as I spent the day in the sun having fun with my best friend for her 30th birthday. 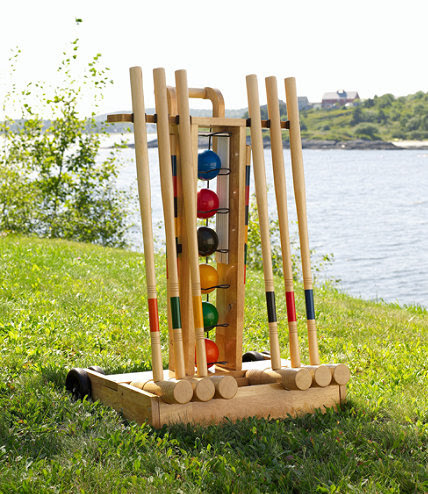 We played croquet, chatted, and just overall had a good time! 6/29/13 is definitely an estimate, as I was not the one to do the cooking. I went to a dinner party at a friend’s house, and I saw her making the enchiladas from a 300 or less calorie cookbook. The 284 calories is from a pre-existing enchilada recipe from the MyFitnessPal database. One thing I’m struggling with while doing calorie counting is snacking. Now I’m not talking about going to fridge to grab something because I want to eat, but more “hey, I’m cutting up some watermelon for later, how many calories can a few pieces really be if I eat them now?” And the truth is that I don’t really know how to count those. I find myself wanting to leave extra calories open at the end of the day to cover those little nibbles, but how many calories would be good? 100? 200? The last thing I want to do is unintentionally put by body into a starvation mode and risk not getting the nutrients I need to stay healthy. I’m not looking to lose weight extremely fast, I’m not looking for a crash diet. I’m looking for a lifestyle that is maintainable. I suppose it will be a trial and error, as well as a force of willpower to resist those urge to nibble when I shouldn’t be. Does anyone have any tips they want to share on how to do this? I like this song on the elliptical, as well as walking because the beat is strong and steady, and not too fast. Leona Lewis also has a voice that is unique…she isn’t auto-tuned, she isn’t bubbly. She has a sultry quality that almost reminds me of Christina Aguilera. Enjoy!